Look for crimini mushrooms that are firm, plump, clean and brown in color. Those that are wrinkled or have wet slimy spots should be avoided. 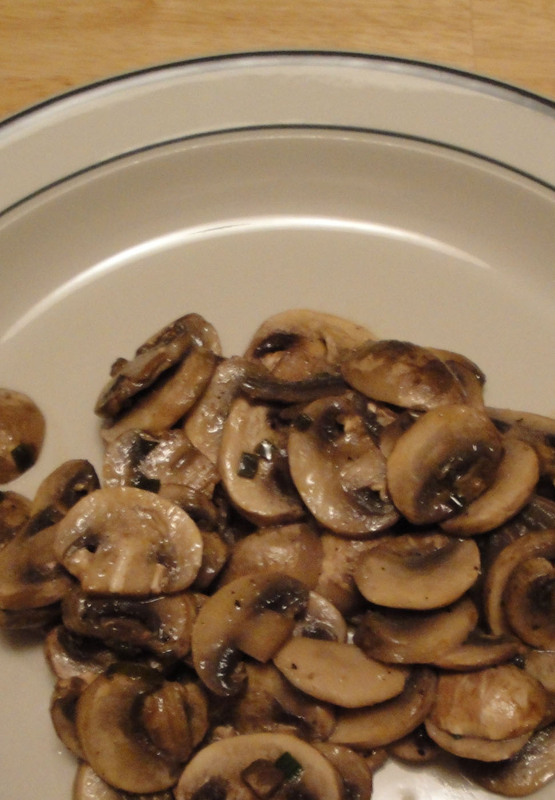 If your recipe calls for caps only, choose mushrooms that have short stems to avoid waste. Fresh and dried button mushrooms are available throughout the year. The best way to store loose button mushrooms is to keep them in the refrigerator in a loosely closed paper bag wrapped in a damp cloth or laid out in a glass dish that is covered with a moist cloth. Whether you use a paper bag, a damp cloth, or a glass dish, it's worth avoiding all storage methods that leave the mushrooms stacked in one big clump. The less surface contact they have with one another the fresher they will stay. A great step to avoid clumping is to make a first layer of mushrooms inside your paper bag or on top of your damp cloth or glass dish, and then cover this mushroom layer with a paper towel. A second layer of mushrooms can then be placed on top of the paper towel. These storage methods will help preserve the mushrooms' moisture without causing them to become soggy and keep them fresh for several days. Once mushrooms have developed a slimy layer across their surface, they are not longer fully fresh. Mushrooms that are purchased prepackaged can usually be stored in the refrigerator for 3-7 days. However, to maximize freshness, we recommend removal from the original container and storage according to one of the methods described above. Recent research has shown refrigerator storage to be especially important for preserving mushroom phytonutrients. In research studies on button mushrooms, loss of phytonutrients related to discoloration and hardening of mushrooms has been shown to occur over a 6-8 day period as storage temperatures get increased from 38F/3C (a common household refrigerator temperature) to 59F/15C (a temperature much closer to room temperature). These study findings are good reasons not to leave mushrooms sitting out on the countertop or even storing them temporarily in a cabinet. Dried mushrooms should be stored in a tightly sealed container in either the refrigerator or freezer, where they will stay fresh for six months to one year. Flavorful side dish cooked under 10 minutes. Melt butter in skillet, over medium heat. Add mushrooms, garlic powder, salt, pepper and Worcestershire sauce. Cook, about 5 to 7 minutes, until tender. Stir in chives. Serve immediately. Enjoy! I love mushrooms. Especially on a good juicy burger with a slab or two of bacon. We are all huge mushroom fans here! Love the simplicity of this dish, Christine!